I feel like I've been away for a long time even though I've had several posts in the last week. We were in Oklahoma most of last week, flew home on Thursday and haven't stopped since we landed it seems! With picking up pets, getting groceries, doing errands, having an early Mom's Day with our youngest son and then the insurance guy and roofer here early Saturday morning, I feel like we were home for a week the first two days back! 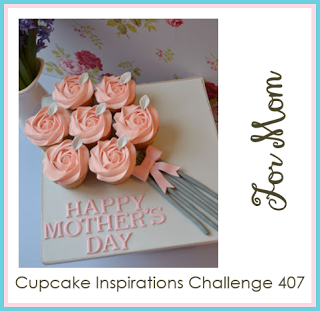 I'm sharing the card I made my mom for Mother's Day. I mailed it before I went out of town to make sure she received it in time. 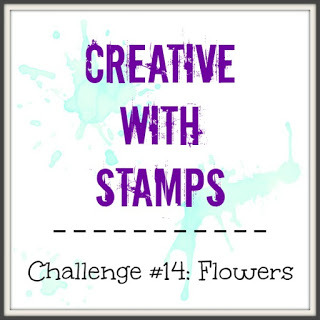 Stamps: Vintage Flowers (Lil' Inker Designs); Sentiment (WPlus9). Paper: Cream cardstock; DIY Painted cardstock. Extras: Leaves Cover Panel (Reverse Confetti); white pearl gems. The panel was cut from background paper I had made using the shaving cream technique. The pastel ink colors I chose matched perfectly with it. So pretty, great die there friend, love those flowers, awesomeness! How pretty, Nance! 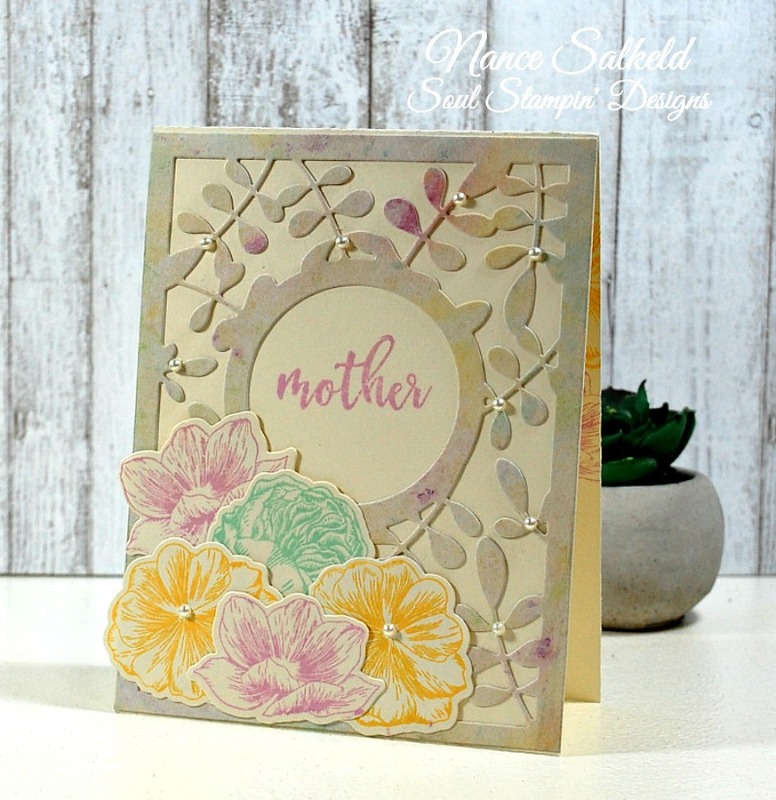 The flowers are so sweet and the leafy frame is gorgeous! I believe your Mom loved this!